I'm really not sure why I haven't been growing Clematis for years. Actually, I should say purposefully growing it, as I have the one Sweet Autumn Clematis that grew as a volunteer several years ago. There are lots of houses in the neighborhood with one of these vines growing on mailbox posts -- why don't I have any in my garden? I certainly love flowering vines. 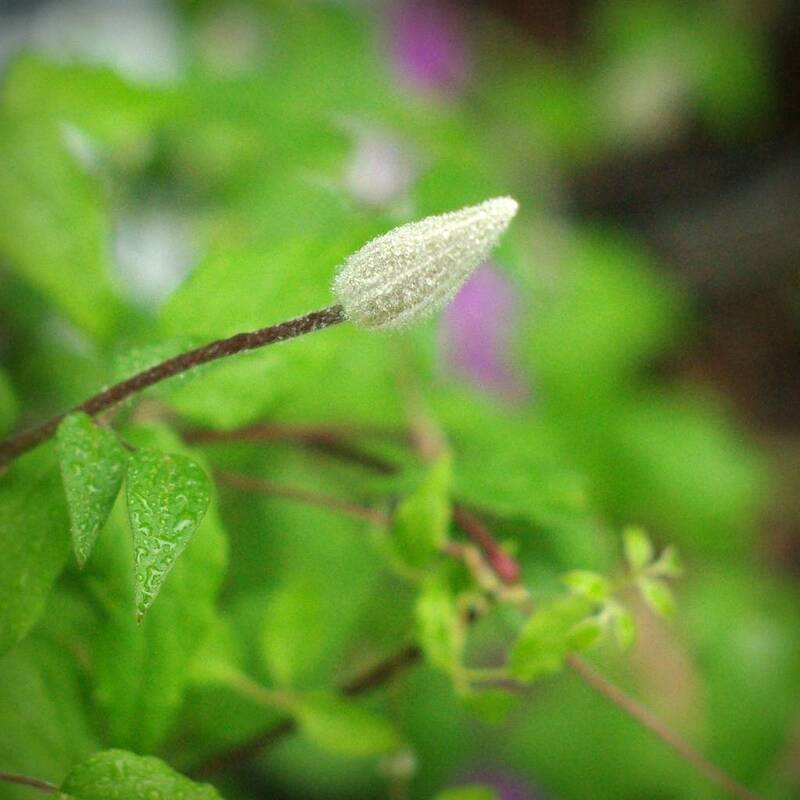 I started looking into Clematis vines late this winter, and by the time March rolled around I was determined to add a couple to my garden. 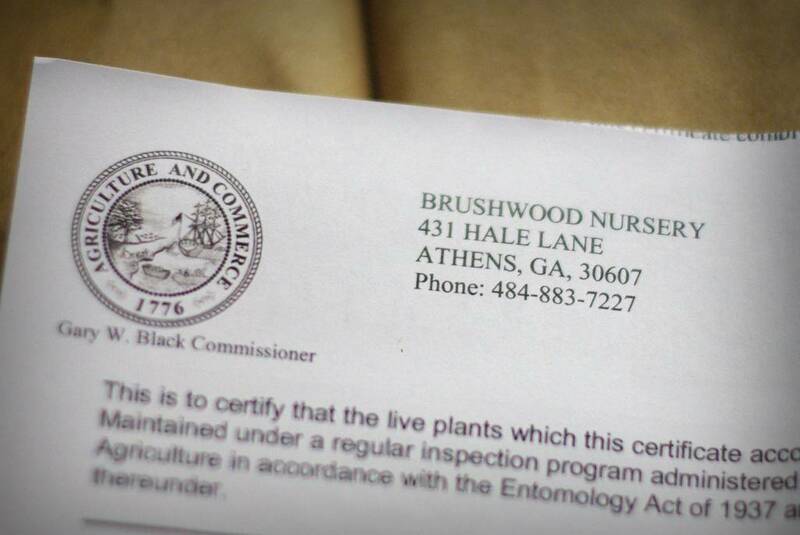 Although I did find a few bargains in the greenhouses of local nurseries (more on that later), I did the majority of my investigation at Brushwood Nursery, where they have a large selection of perennial vines of all kinds. My order arrived this week! 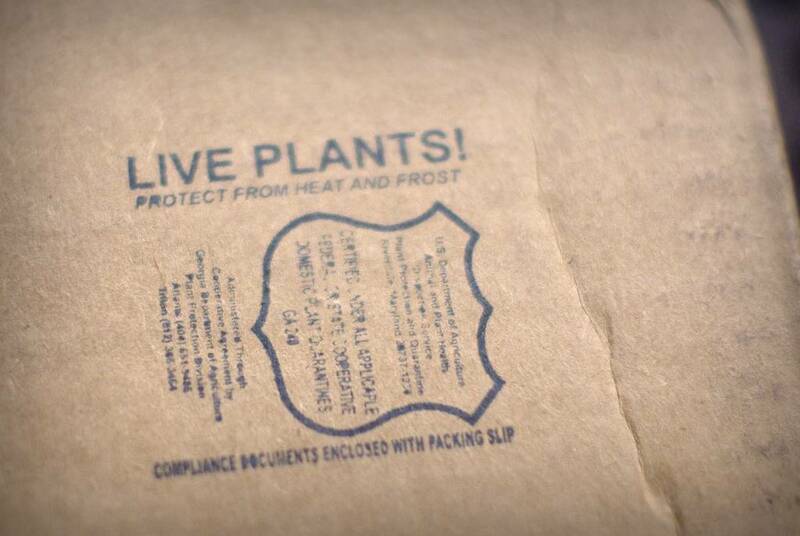 As you already know, I love getting plants delivered to me. 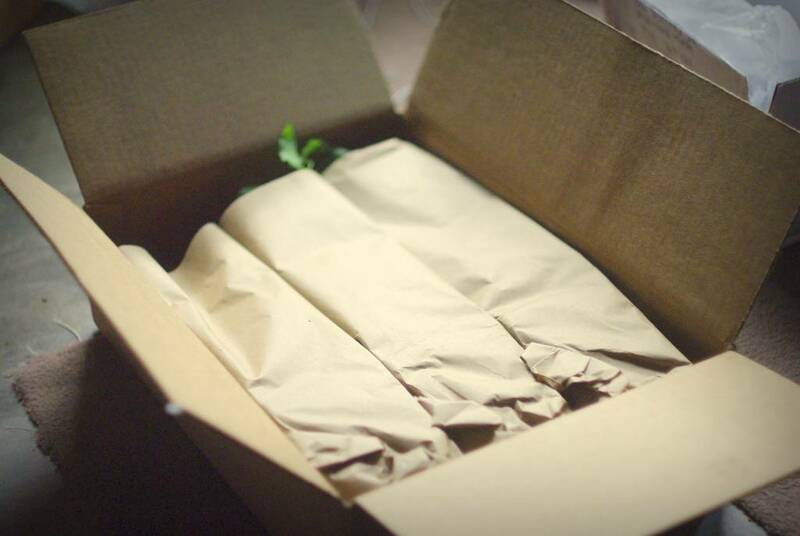 Even when I know exactly what the box will contain, it's always exciting opening those cardboard flaps! The advantage of ordering plants from distant specialty nurseries is variety -- there's such a wider selection compared to local nurseries (usually). The disadvantage is size -- you typically get smaller plants than you'd find locally (but not always). These plants were on the small side, but certainly healthy-looking. I wasn't expecting to see a bloom either! 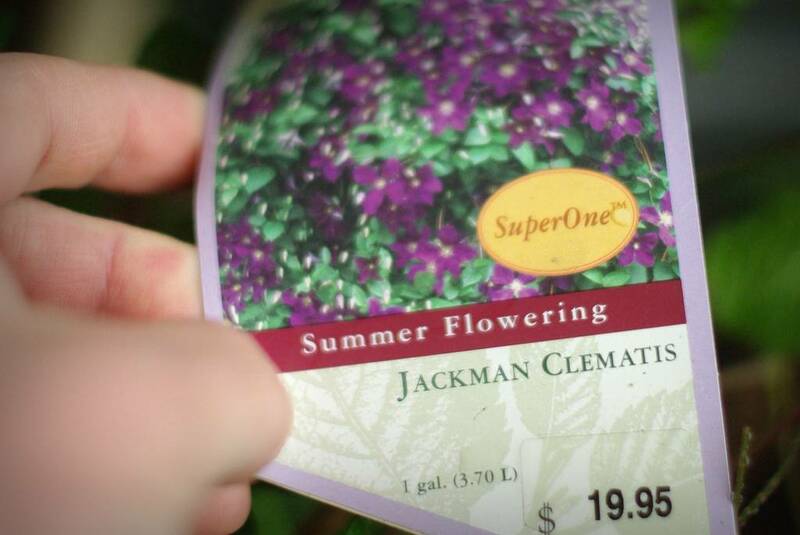 The jackmanii is so common, but I have no problem with growing common plants when they really work in the garden, and this one should be spectacular! The 'Niobe' may be another common one, but I couldn't resist the price. Those $19.95 tags were wrong -- these were $9.95 each! 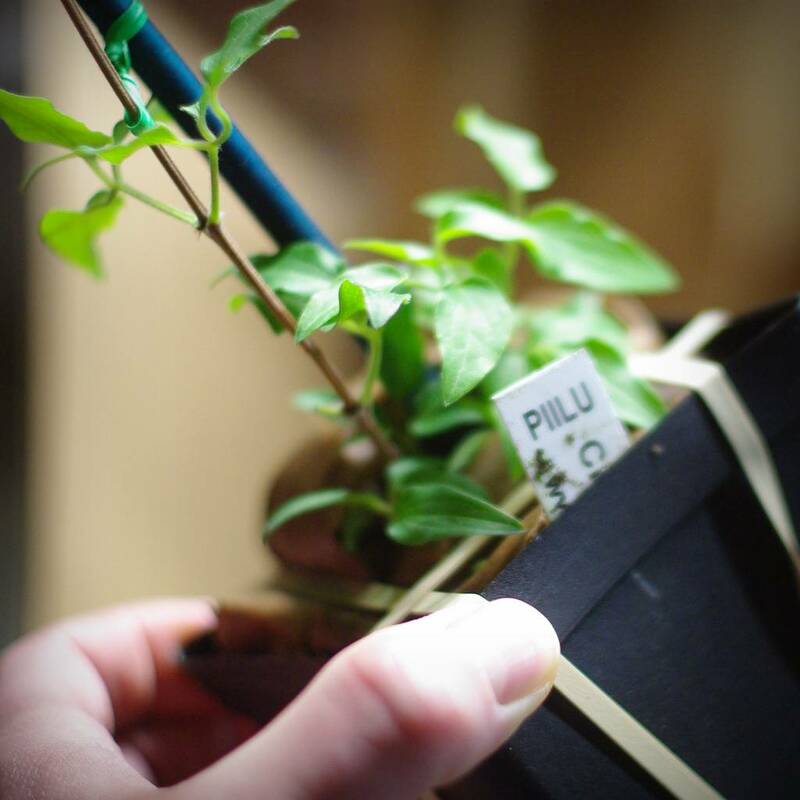 The plants appear to be a year older than the ones from Brushwood too -- so big! 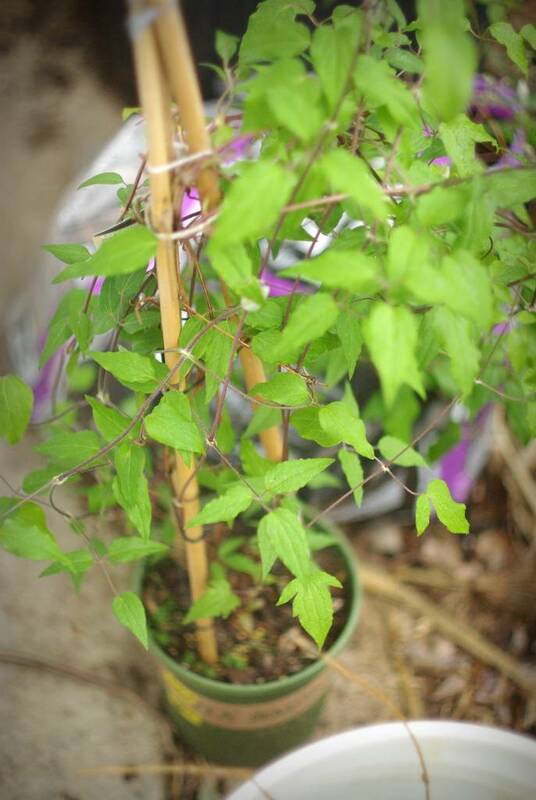 So I've got five Clematis to plant now -- wait, six! I forgot that I also ordered a Sweet Summer Love from a local nursery, but it won't be in stock for a couple more weeks. I'll be getting these into the ground soon. I can't wait! 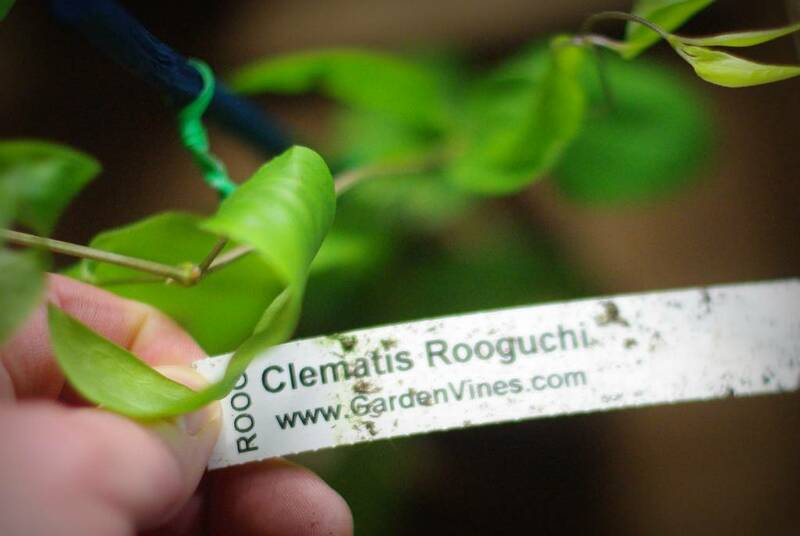 Are you growing any Clematis? What varieties do you like? Another fun post for me, Alan. 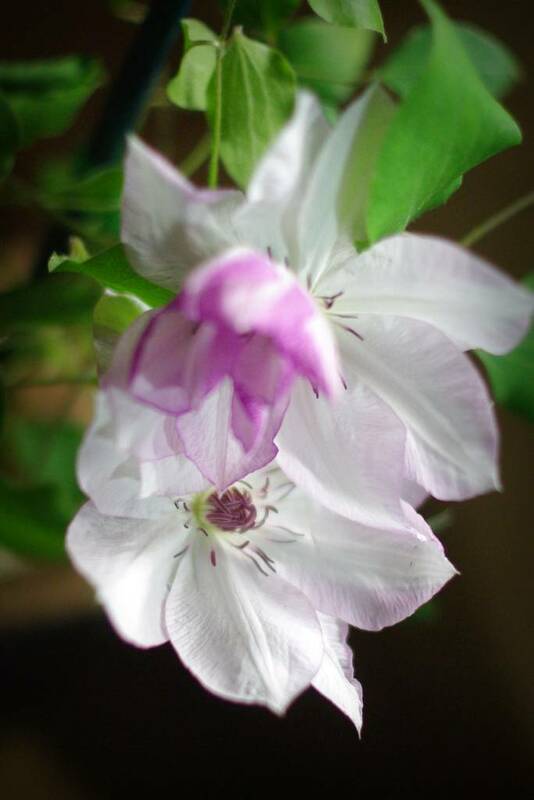 I love Clematis! I, too, have 'Niobe'. You will be pleased with the performance and dark wine color that stands up to our extreme summer heat just fine. 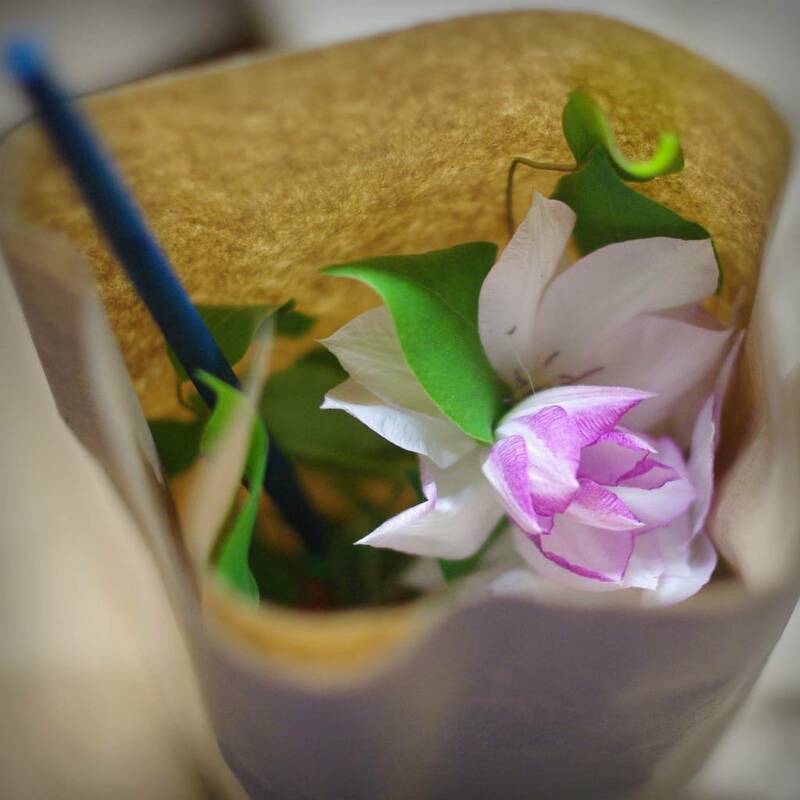 I also grow the native leather flower clematis. 'Omoshiro' is gorgeous! I'm looking forward to your future posts on the others. 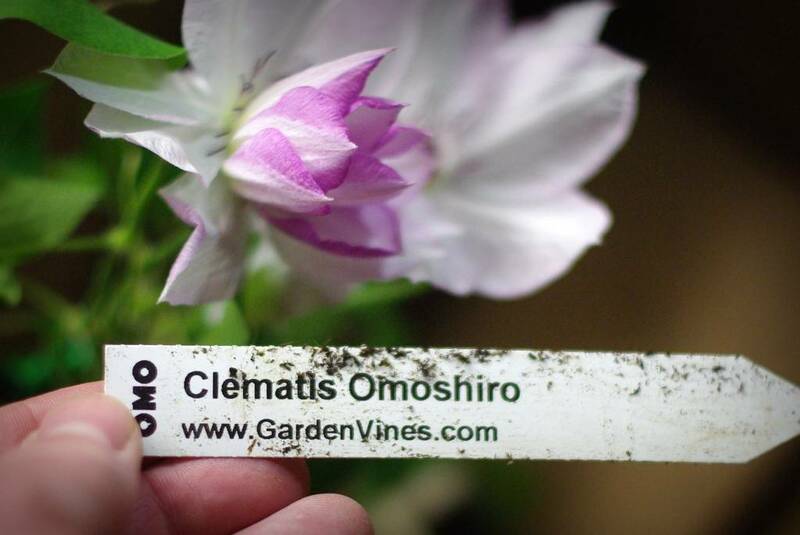 You can't go wrong with Clematis...and the common ones are common for a reason...they are fabulous plants! 'Rooguchi' is one of my faves in other people's gardens...I need to find space for one, they are so charming. 'Niobe' is the one I had. The flowers were stunning. I need to make room for some more. You did get a Sweet Summer Love! so did we! Can't wait to see - and smell - this one in my yard! But the real question is do you say "Clem eye tis"? Or Clem at tis"? Niobe is stunning when mixed with Bright Eyes. 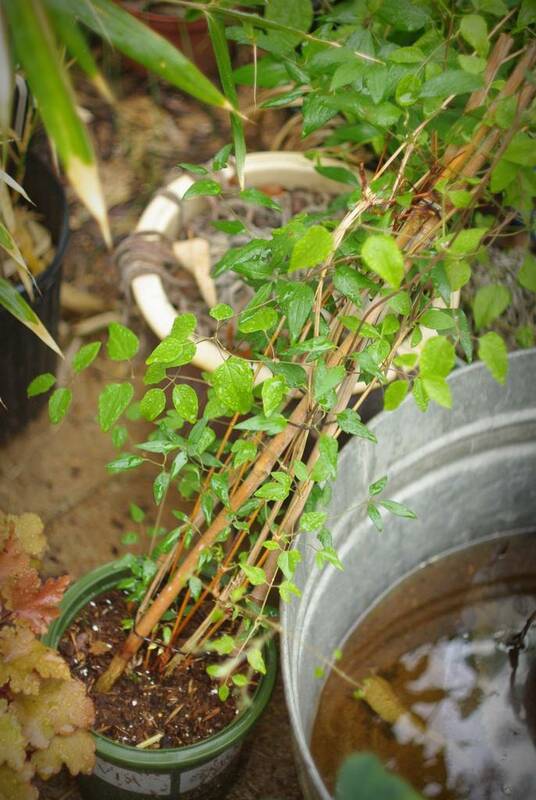 I actually picked up a Jackmanii last year- I have 8 now (Snow Queen, Asao, Henryii, Nelly Moser, Bright Eyes, Niobe, Jackmanii,H.F.Young ), it's got buds on it this year. I may have to look for an Omoshiro at a local nursery here, that one is gorgeous. According to the Oxford English Dictionary the correct pronunciation is CLEM-uh-tis and “a frequent mispronunciation is clem`mātis”. According to the Merriam Webster Dictionary both CLEM-uh-tis and clem-AT-tis are acceptable. However, since CLEM-uh-tis is the first one listed, this would mean it is the preferred one. 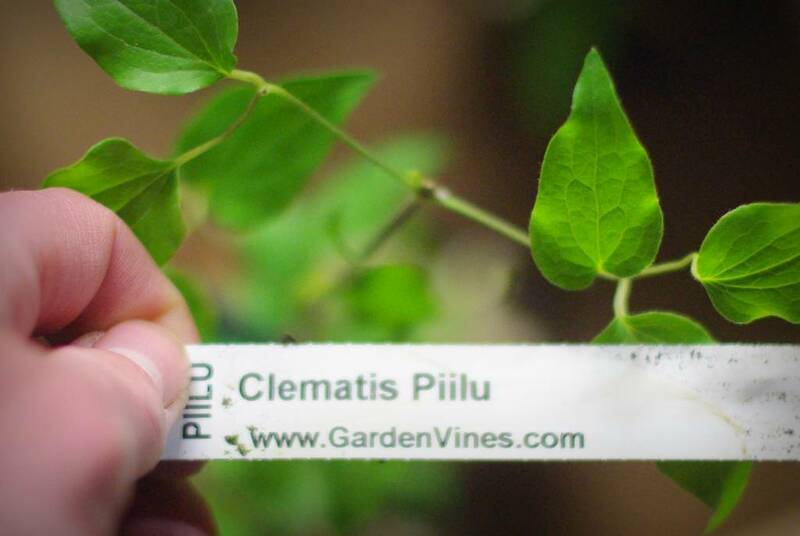 Most clematarians, including two of my horticultural heroes, Tony Advent and Dan Hinkley, pronounce it CLEM-uh-tis. I've put a lattice around my rain barrel this year, right where I grow purple coneflowers, shasta daisies and black eyed susans. 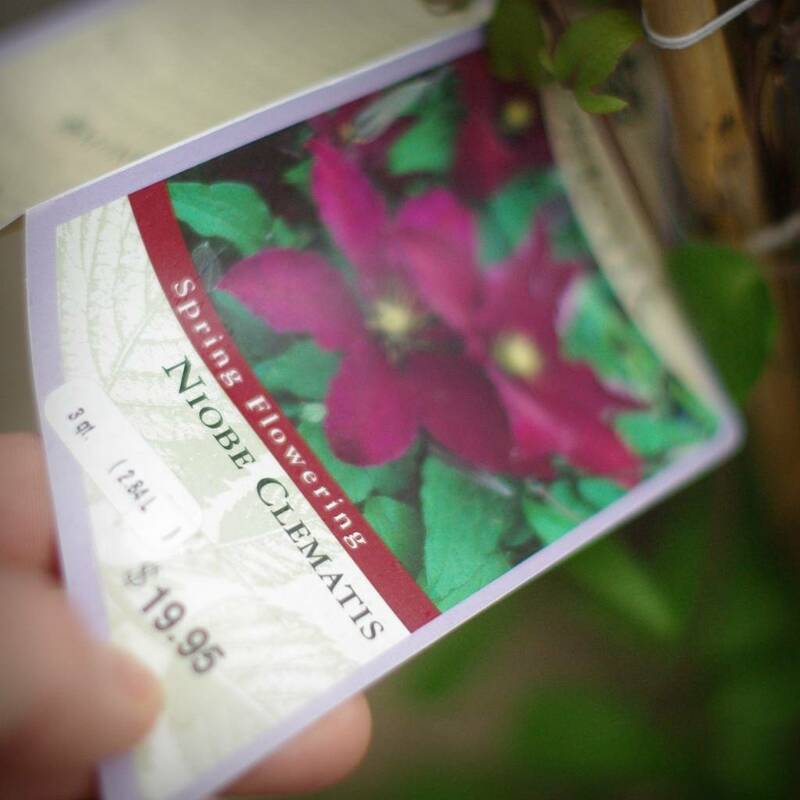 Which clematis do you suggest with them? Another purple maybe? You will love Rooguchi. One of my favorite Clematis. It looks great mixed in with a vigorous pale flowered Clematis like Emilia Plater. These are beautiful! My parents grow Clematis, I'm not sure what variety though. They are a deep purple color. Really pretty on a trellis! Just typed a long post and lost it (I'm new to blogging). 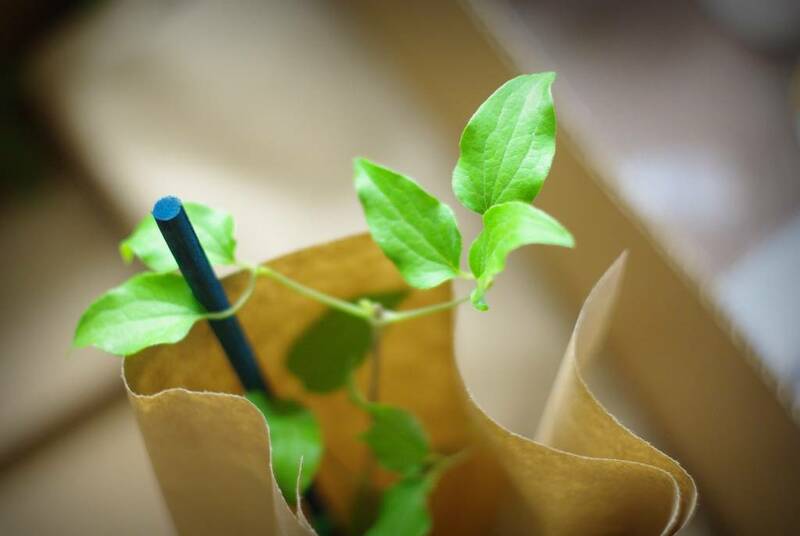 Words of advice: know which group it belongs to (1, 2, or 3) and clematis has difficulty climbing on supports with larger diameters (trellises) do you may need to add twine, netting or something else until the plant is established enough to wrap around itself.